During Sony's big CinemaCon 2016 presentation yesterday, it was announced that the long awaited adaptation of Stephen King's The Dark Tower had begun principle photography. The movie is directed by Nikolaj Arcel, best known for such cult movies as Island of Lost Souls, Fables and the drama A Royal Affair. Headlining this epic undertaking are stars Idris Elba and Matthew McConaughey. 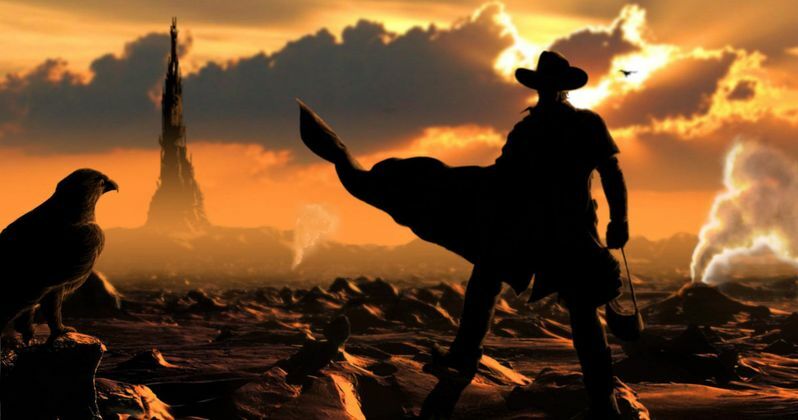 The Dark Tower is a movie that has long been in development Hell, and it's amazing to see it finally go before cameras, as it has been kicked from one studio to the next. Over the years, there has been very little progress in seeing the movie actually get made. Even when Idris Elba and Matthew McConaughey were announced as the two primary cast members, fans thought it was just another blip in seeing this blockbuster undertaking, which is believed to also have a TV component, come together. The Dark Tower is the first in a franchise, and is believed to be based on the first Gunslinger novel. There has been steady progress on the project in recent months. Idris Elba is playing the titular Gunslinger, Roland Deschain. Matthew McConaughey is taking on the villain role of the Man in Black. Also joining the cast is Tom Taylor. He plays Jake Chambers, a boy from the real world who joins the Gunslinger on his quest. The movie includes a few other key roles, with casting expected to be announced soon. The Dark Tower has a very devoted fan base, and this is one of the most ambitious upcoming movies Sony Pictures currently has on its slate. It has certainly been a struggle to bring it to fruition, with multiple approaches on how to tell the story entering the conversation over the years. Ron Howard came closest to getting it made in the past decade, but his version slowly fell apart before it could gain any real momentum, with the gargantuan budget one of the main problems in having it move forward. It is anticipated that The Dark Tower will arrive on screens February 2017. If everything keeps moving as is right now, that will definitely happen. There is no word yet on what types of VFX will been needed to complete this Stephen King fantasy Western. It is expected to be a CGI extravaganza, and it is entering a relatively short production scheduled. We'll keep you posted as more news on The Dark Tower breaks in the coming weeks. We might even see the first set photos emerge soon, as Sony appears to be quite excited about this one.